Bolton fan Dennis Swift loves his club but the 56-year-old had become disillusioned by the direction it had taken under manager Owen Coyle. Instead of protesting at the Reebok Stadium, however, the plasterer wrote down all his frustrations in poem form. 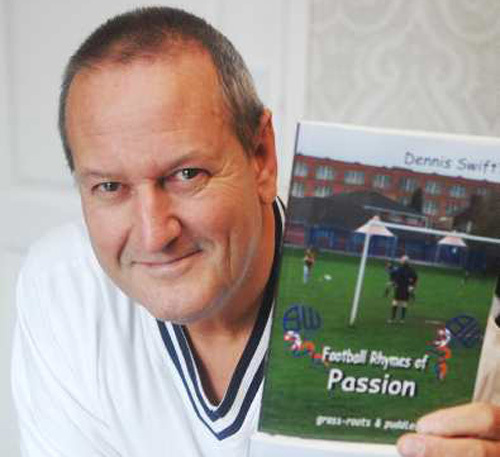 Swift then approached the Trotters to sell his book of poetry, “Football Rhymes Of Passion”, in the club shop, but was given short shrift by Bolton. An outraged Swift then penned an online poem which criticised the shop’s head of public sales, Richard Gough (not that one), which ultimately led to a surprise visit from the Old Bill/Filth/5.0. You can check out the rest of it here, if you really want to. Could be met with faux rage. Plus, he’s better than Megson.